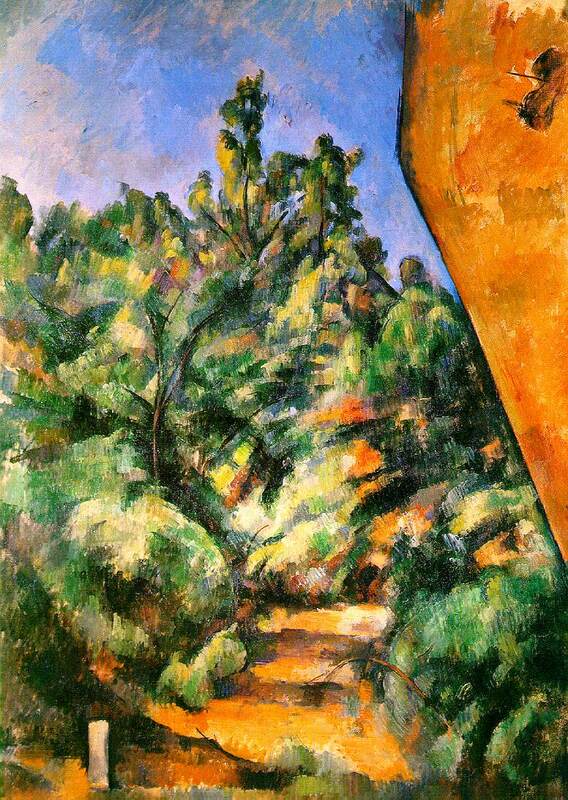 My third and last of the Cézanne tours organized by the Office de Tourisme of Aix-en-Provence involved a visit to the Bibémus quarries (carrières de Bibémus), a site where Cézanne painted frequently from 1895 to 1904. The quarries are located a few miles east of the center of Aix. These quarries had been in operation at least since the days of the Roman empire, and were extensively worked during the 17th and 18th centuries. 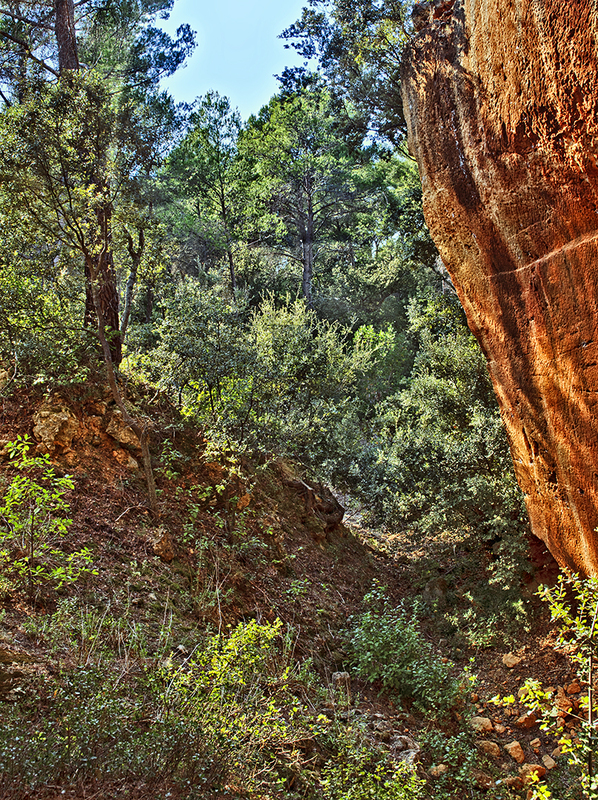 The reddish-yellow ochre rocks obtained there were used in the construction of buildings and monuments in Aix and elsewhere. 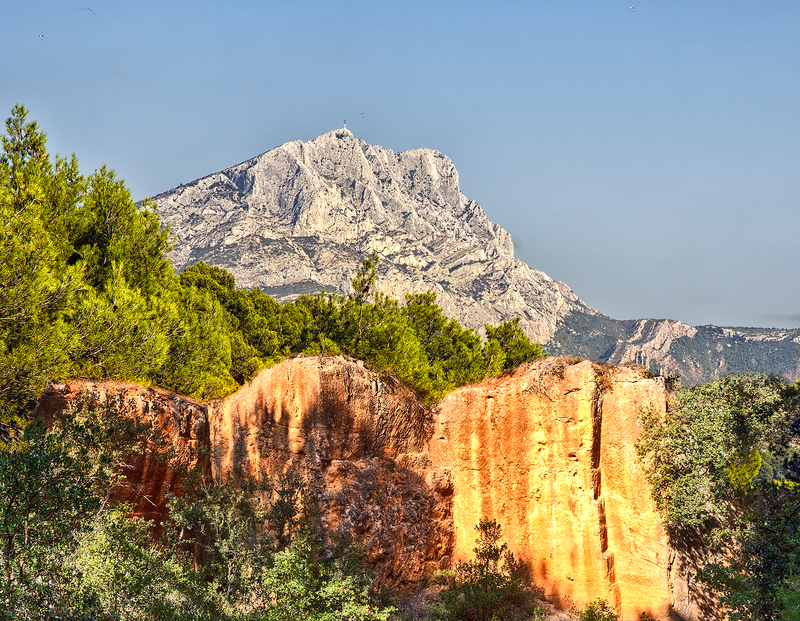 But after the 18th century, the quarries fell into disuse because of fissures and sand pockets in the quarries’ rocks, probably resulting from the presence of high levels of salt, which also made sand quarried there useless as a component of concrete. 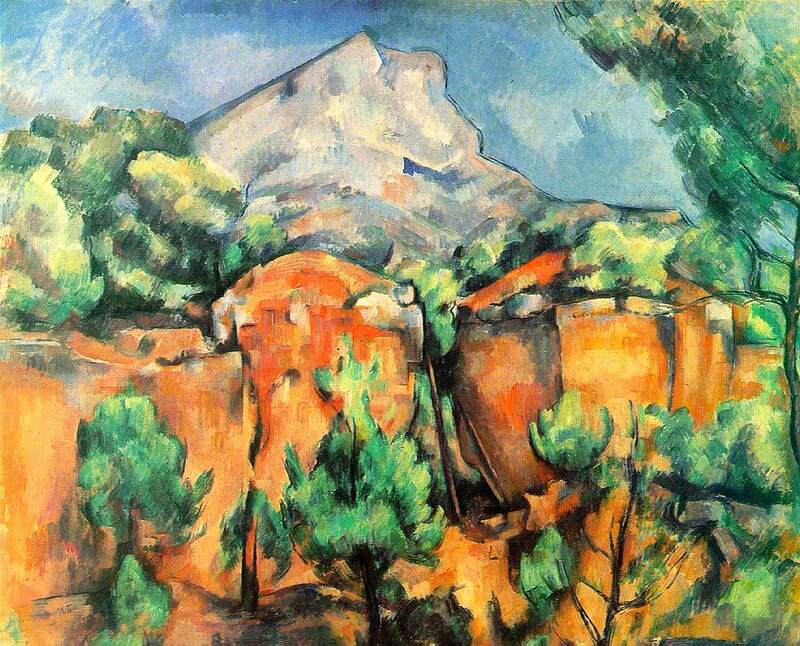 In 1885, the quarries were closed and thereafter were completely abandoned, which allowed Cézanne to work there whenever he wished. 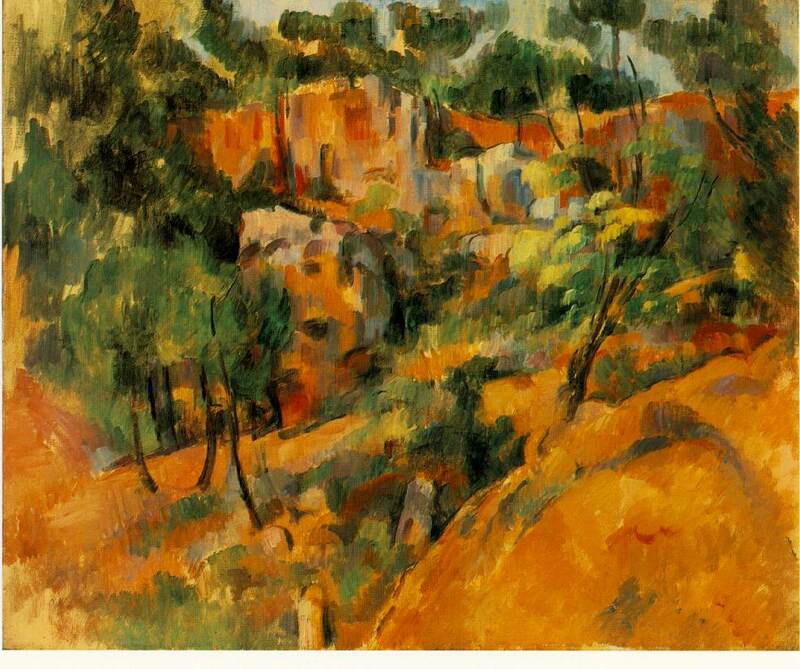 In 1954, a portion of the quarry site was purchased by the American artist George Bunker, who upon his death in 1991 left it to the city of Aix-en-Provence, on condition that it not be commercially developed but maintained as a public park in memory of Cézanne. 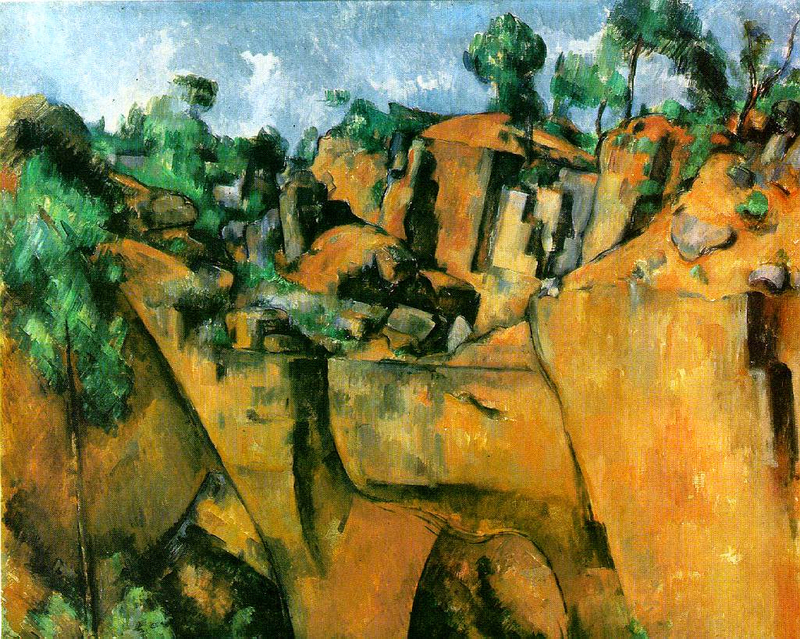 The city opened the quarries to the public, along with the other Cézanne tour sites, during the centennial of Cézanne’s death in 2006. This combination photograph is composed of parts of two of my other photos shown in this posting, i.e. 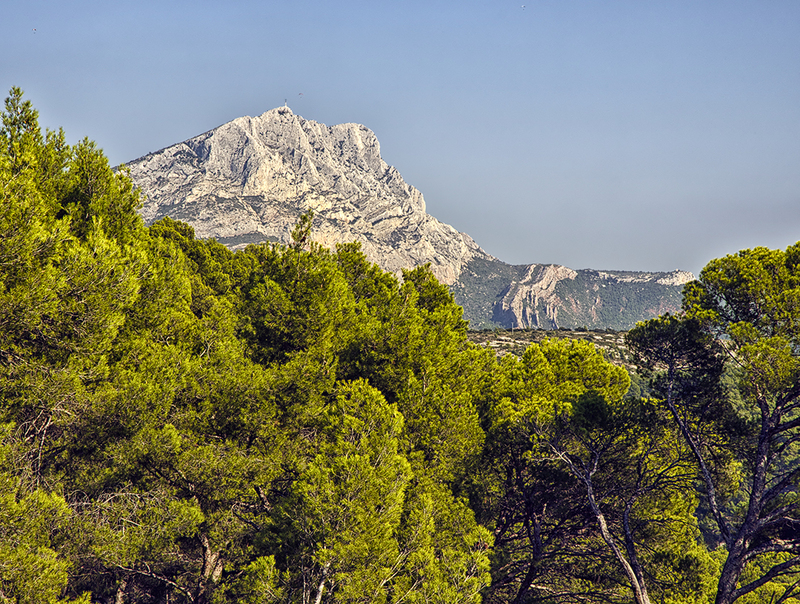 those entitled “The Bibémus Quarry” and “View of Mont Sainte-Victoire from the Bibémus Quarries.” Its remarkable similarity to Cézanne’s 1897 painting suggests the possibility that Cézanne’s painting may in fact be a combined representation of these two views taken from different parts of the quarries. 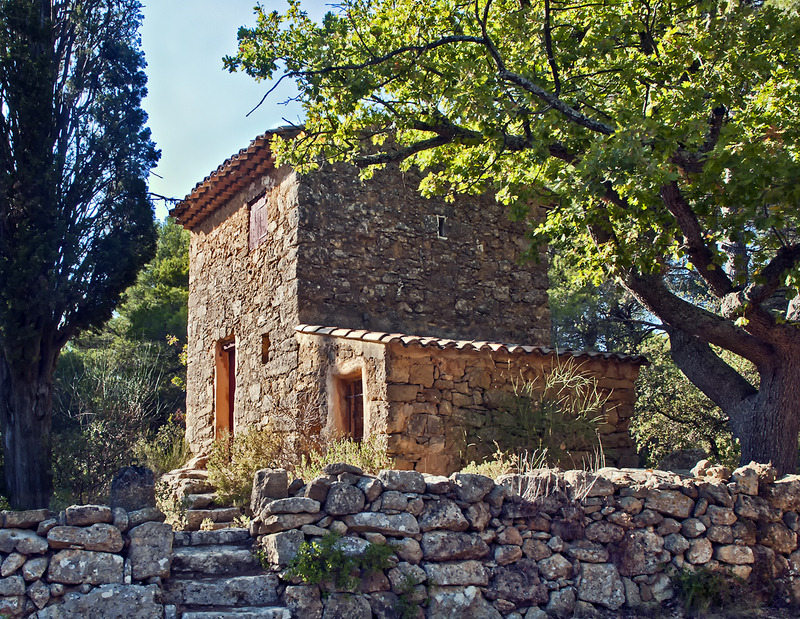 The three tours “Dans les Pas de Cézanne” organized by the Office de Tourisme of Aix-en-Provence were certainly among the most interesting and informative of the many activities and sights afforded by this remarkable destination. They are an experience not to be missed, especially for lovers of modern art. 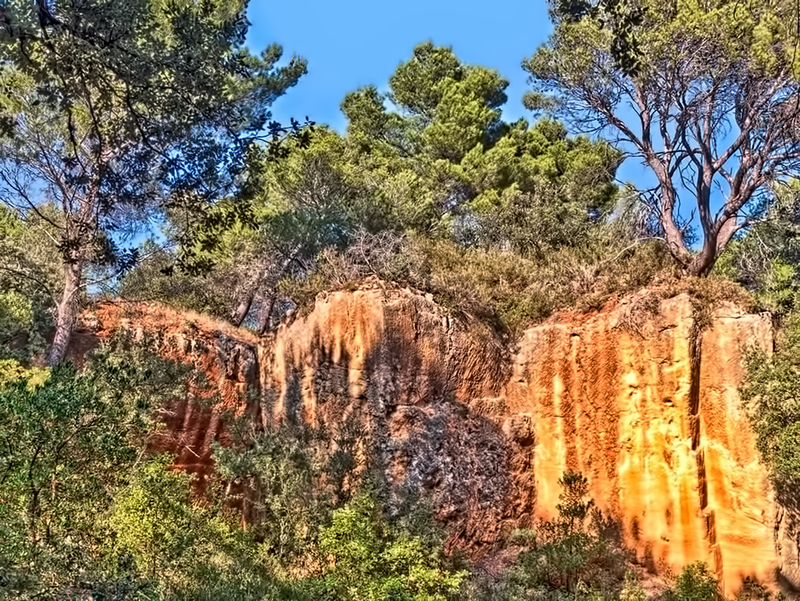 For additional photos of Aix-en-Provence and other beautiful and interesting cities and villages in Provence and the Côte d’Azur, please visit the gallery Provence-Côte d’Azur on my photography website, Phil Haber Photography. For additional information about my photography, please see my photography Facebook page. Nice work! I’m looking forward to the book… there will be a book, won’t there?